Door knockers? Do YOU have one? Does it express who lives in YOUR home? Oh, what a great Fabulous Find Friday! 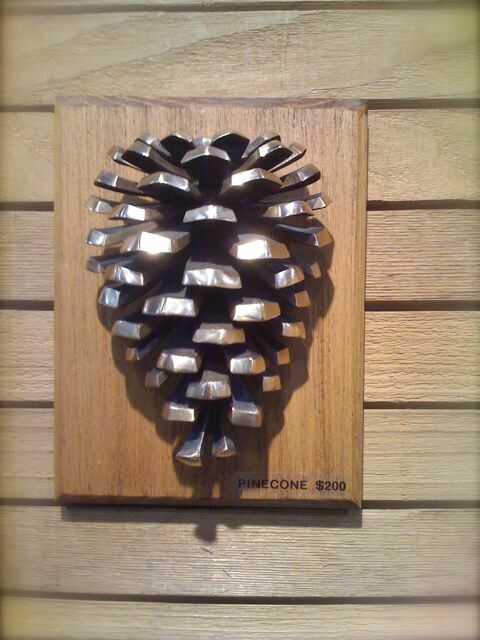 You need one of these. Really. I can’t wait to introduce you to my friend Colby’s work. He is so talented. Now, every year at the Philadelphia Flower Show I tease Colby and his wife Jane… because I’m a like that and because their booth is located directly behind mine. All day long I hear knocking. All day for 8 days. Tap. Tap. Tap. Bang. Bang. Bang. Knock. Knock. Knock. Me… “Do you hear something?” alittle while later… “Do you hear knocking?” alittle while later… “Hellloooo?” and later yet… “Come on iiinnnn….”. They have to put up with my music so I think we are okay. From Colby’s website: These door knockers are substantial–easily recognized from a distance and interesting in detail up close. 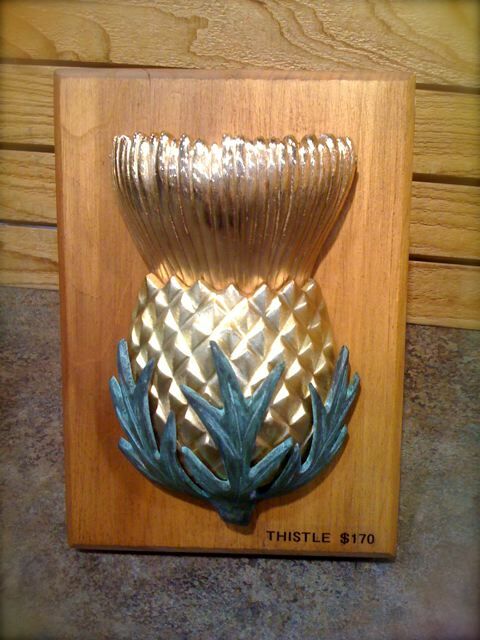 Each piece is sand cast in solid yellow or red brass, hand finished, assembled and lacquered for tarnish resistance. 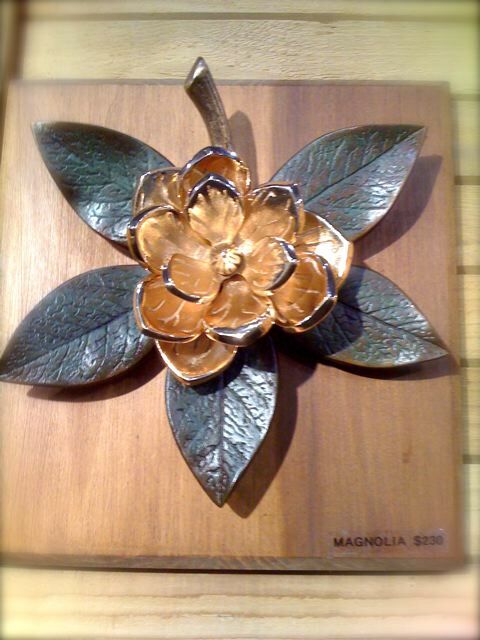 Various color patinas and nickel plating can also be applied to any design. 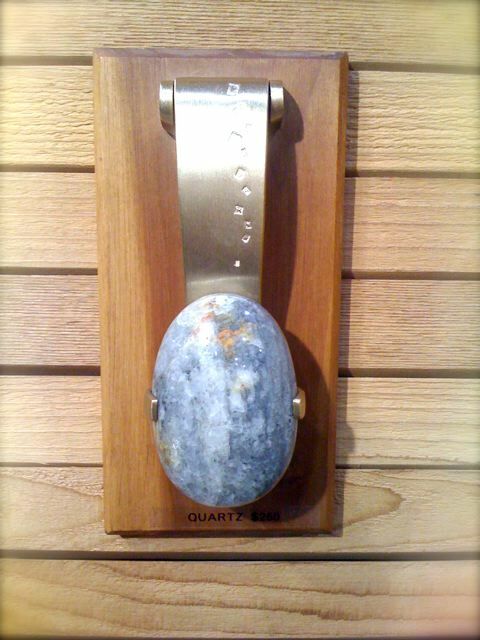 Mounting hardware is provided for use on wood, metal or fiberglass/composite doors. 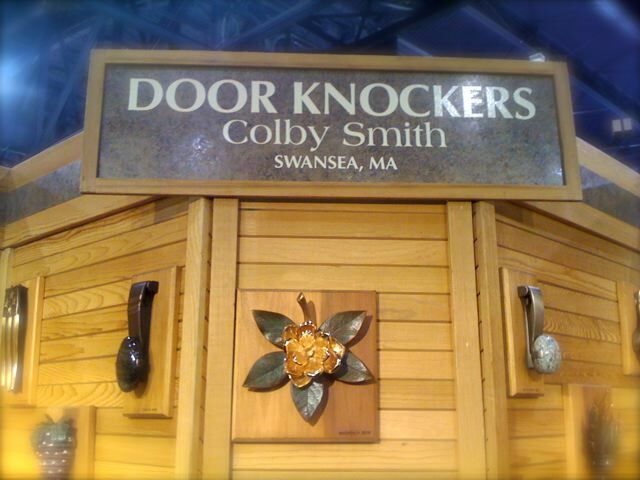 If ever needed, Colby will completely refinish his door knockers for a small fee. I LOVE his work. I’m totally a customer. I wish I had more front doors! There is something for everyone- from traditional to contemporary. 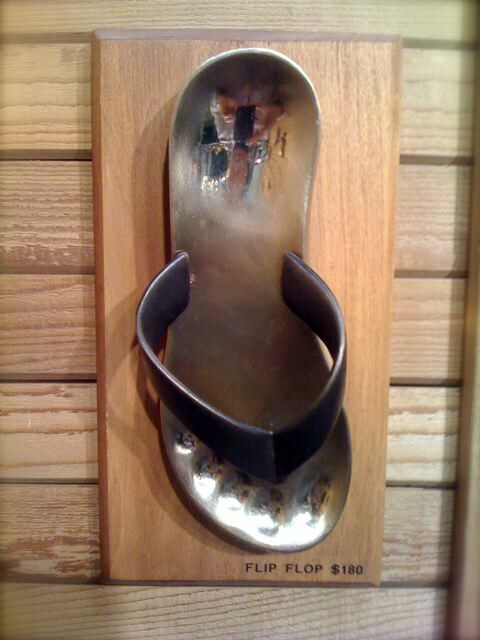 If I had a beach house you would SO be using that Flip-Flop (shown below) to find out if I was home! Oh, you will love this! 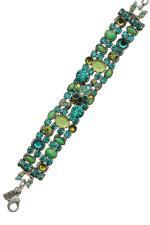 I met Mary DeMarco designer and owner of La Contessa jewelry at the Philadelphia Flower Show a number of years ago. 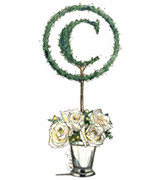 Botanical in theme and beautifully detailed, her work is right up my alley. 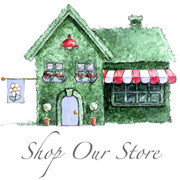 Over the years I have purchased many goodies from her- for myself and as gifts for friends and family. Shown above are some of the pieces that I collected and wear often. Aren’t those rabbit earrings a trip!? Hummingbirds, owls, squirrels, mermaids, butterflies, frogs, flowers and turtles are featured adorning her jewelry. 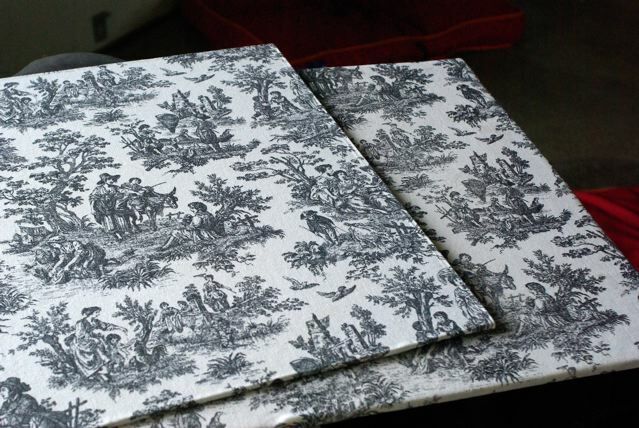 One of the things that I find so lovely about Mary’s work is that the BACK of her pieces are also artfully detailed. Two years ago I was looking for some salad servers and purchased a pair at La Contessa. I love them. 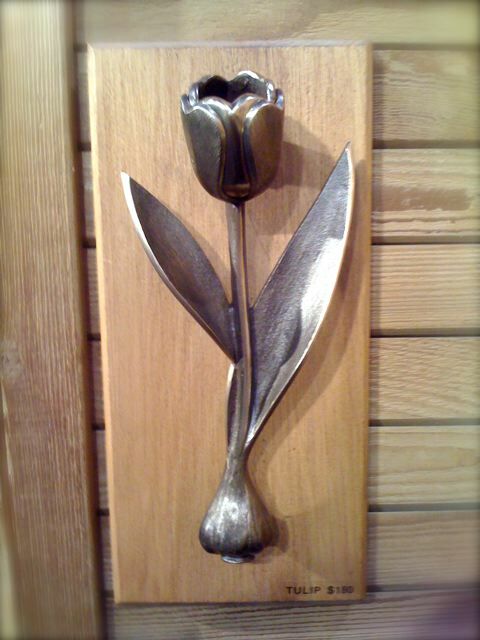 They are pewter and each handle is sculpted with flowers and birds. The eyes of the large birds on the end have glistening stones. Every time I use them it makes me happy. Last year I picked up this matching coffee scoop. The inside of the scoop is a nest! Don’t you love that!? Delightful on a daily basis. Have you ever been driving at break neck speed and seen a glimpse of something that you immediately know has a purpose in your life, your business, your something? Let me set the stage… 3 nine year old boys in the backseat of the car after a birthday party. One mentions that he is feeling like he is going to throw up… yep. You know that feeling, right? The one that says… “Nooo, please don’t hurl in the car!” Oh shoot, and me without a proper hurl receptacle. * After a quick stop beside the road, I was a bit anxious to get him home but I promise I was not REALLY traveling at break neck speed… just don’t throw up in the backseat speed. Zoom. What was that? What was that funky little cart thingy I saw out the corner of my eye as we passed. Hmmm. I’ll have to remember that. Fast forward a week later as LaLa and I are coming home from the grocery store. “LaLa do you feel like going on an adventure?” “Sure!” She is always game. I saw something the other day, I can’t remember where… let’s go see if we can find it. “Great!” she says. So we retrace our tracks and I had almost given up. It’s not there. LaLa the optimist encourages me that we will find it. I come up with number in my head of what I could offer if it is still there. Last turn back to the village and there it is. Fab. 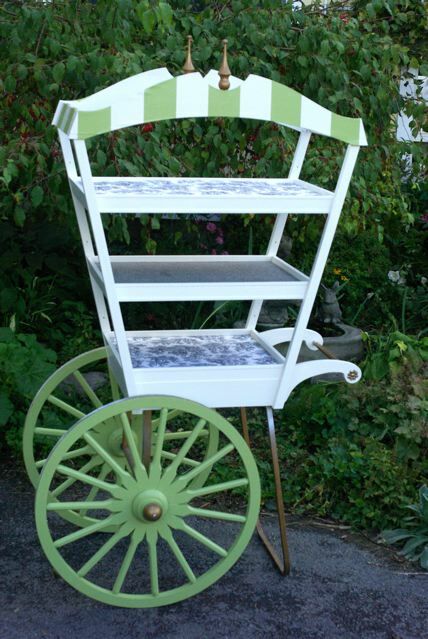 The owner and I strike up a deal and I am now the proud owner of this funky soon to be flower/display cart. A fabulous find, I must say. Isn’t it cute? 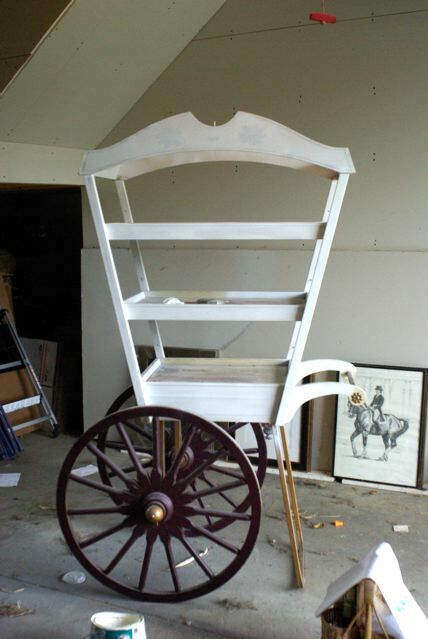 Of course, I’m thinking “French flower cart” to display my wares at the Philly Flower Show 2011 since the theme is Springtime in Paris. I still have some work to do but it’s coming nicely. Can you picture the top stacked with pots and rosemary, myrtle, and angel vine topiaries? Maybe some handcrafted soaps on the bottom shelf, sachets or wine bags in the middle with linen towels hanging on the bar? What fun! Have you had any fabulous finds lately? Do tell! *If you are ever in a pinch with car sick child and no appropriate receptacle… grab the nearest umbrella and open it slightly. It makes a large sized bowl. Don’t ask me how I know… I just do. : ) Have a fabulous friday!